In Gabriela Lena Frank’s richly inventive Concertino Cusqueño cultures collide as the composer imagines taking one of her musical heroes, Benjamin Britten, on a colorful journey to the ancient Peruvian highlands of Cusco, the ancestral homelands of the Incas. 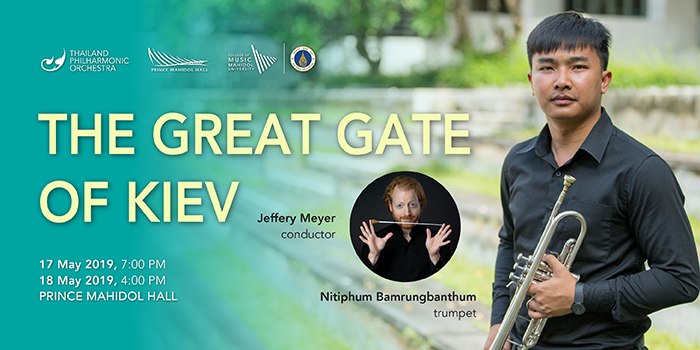 The orchestra’s principal trumpet player, Nitiphum Bamrungbanthum, steps forward to the soloist’s podium in James Stephenson’s playful First Trumpet Concerto. American Jeffery Meyer takes us to the museum of sound in Mussorgsky’s monumental Pictures at an Exhibition in Ravel’s unforgettable arrangement for orchestra.